After being instrumental, in the 3-0 win against Brighton and Hove Albion, last time out, it remains to be seen if Olivier Giroud retains his place in the starting eleven against West Ham United this evening. Throughout the season we’ve become accustomed to Maurizio Sarri’s somewhat baffling team selections and it wouldn’t surprise us one bit if the Italian chose Gonzalo Higuain to lead the line tonight. 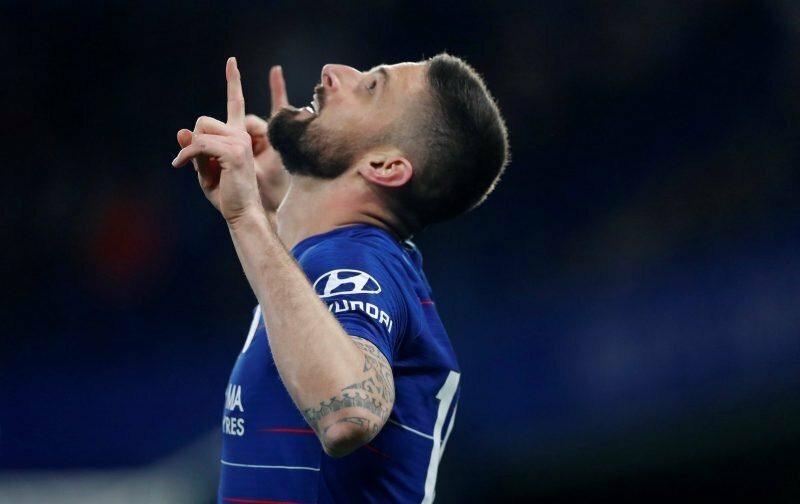 Olivier, some may feel, hasn’t had a fair crack of the whip when it comes to regular starts in the Premier League and it is this fact that is fuelling the possibility that the 32-year-old Frenchman might opt to leave Stamford Bridge, at the end of the season. I’m not so sure, Giroud needs regular football and the current situation will be frustrating him. But returning tonight, will Giroud start against West Ham or will Sarri opt for Higuain? Please feel free to drop your views in the comment facility beneath this article.